The Rising Tide Leadership Institute (RTLI) links the performance skills and leadership development that women achieve by competing in high-technology sports with the organizational leadership excellence needed to compete and succeed in life. 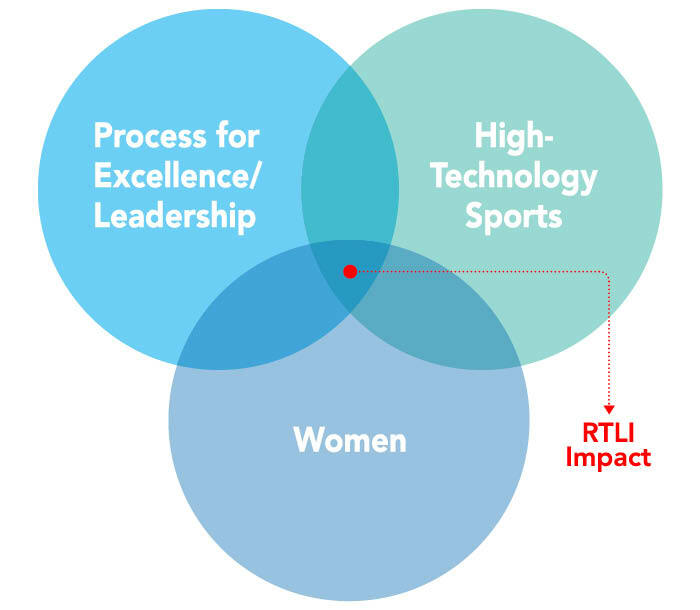 RTLI will use women’s participation in high-technology sports competitions to demonstrate that the process that produces consistent success in high performance teams and individuals mirrors the process for organizational excellence that will develop women leaders and equip them with skills needed to compete and succeed. Sailing, aviation and motor sports are high-technology sports with massive global audiences. Expertise in science, technology, engineering and math (STEM) are essential to drive development, foster innovation and improve industry standards. Development and management issues in high-technology sports mirror the dynamic complexities faced by global organizations.